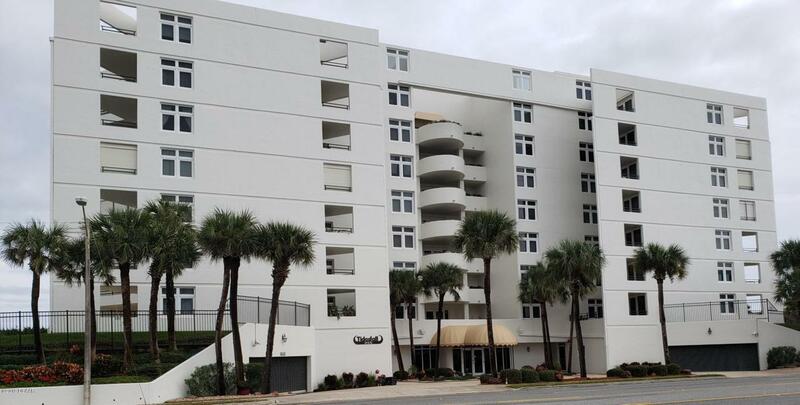 Enjoy ocean or city views from any of 3 separate balconies at Ormond Beach's most desired private and secure complex, Tidesfall Condominium.This 3 bedroom and 2 bath has over 2000 sq feet. It has been completely renovated and updated right down to elegant mirrored foyer with sea turtle mosaic entryway. Other amenities include 2 underground private and secure parking garages, electronic storm shutters, laundry inside unit, expertly manicured grounds, community pool and gazebos for socializing and cooking out. Enjoy the best of coastal living with your toes in the sand.Purchase Money Mortgage available. Listing courtesy of Kimberly Solano of Kimberly M. Solano.